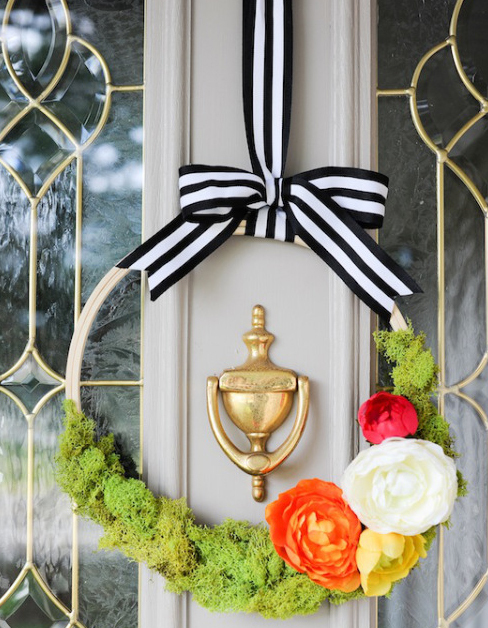 Welcome spring with beautiful wreath on your front door. And if purchasing a new wreath is definitely not on your list, then why don’t you try to create some by yourself. 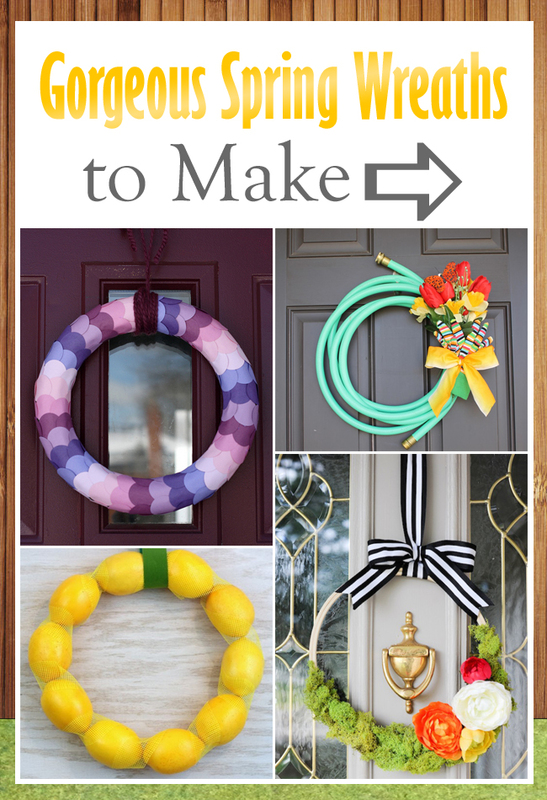 We have collected some interesting DIY examples for spring wreaths for your front door. These DIY projects are budget-friendly, simple to create and you can make it using a basic equipment. 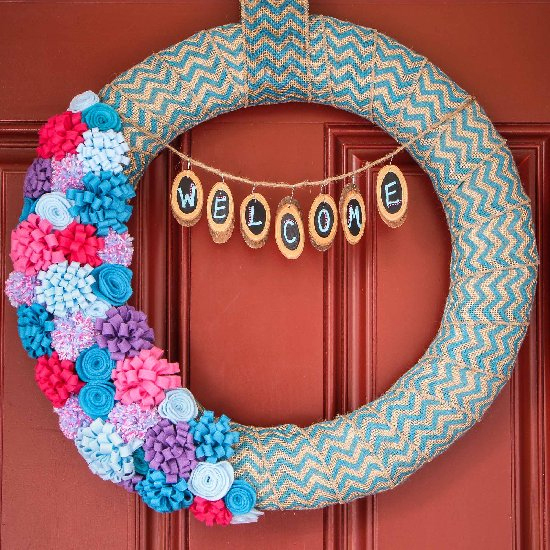 You will find a door wreath to create using almost anything like; yarn wreaths, fabric wreaths, flower wreaths and much more! Get ready for the spring and make some wonderful decorations that will be hallmark for your home! Create this wonderful and cheery floral spring wreath to instantly brighten your front door! 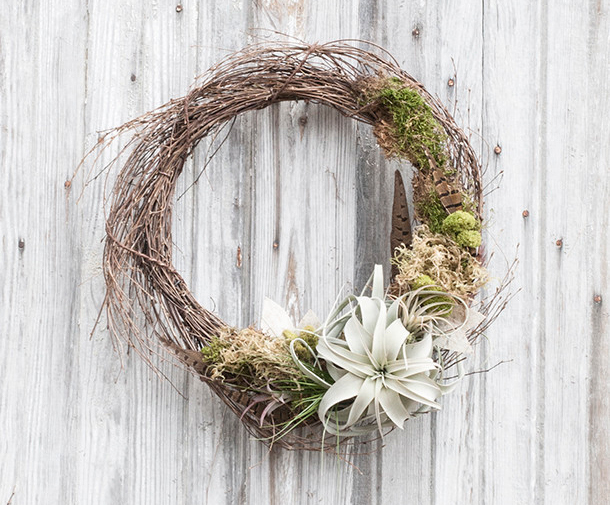 Make a modern, stylish spring wreath which has such a calming nature. It would look lovely hanging anywhere! 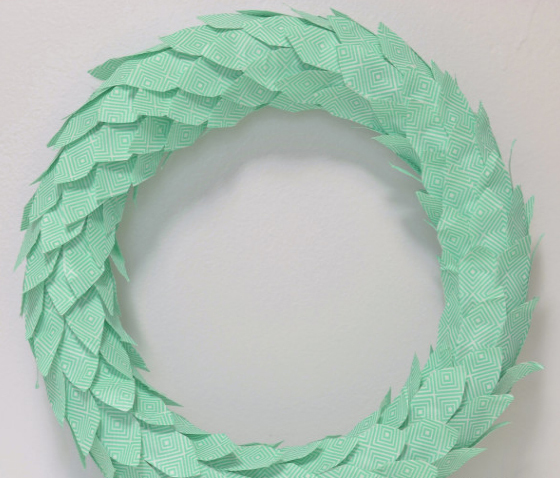 Simple and beautiful wreath using duct tape! I am definitely make this one. 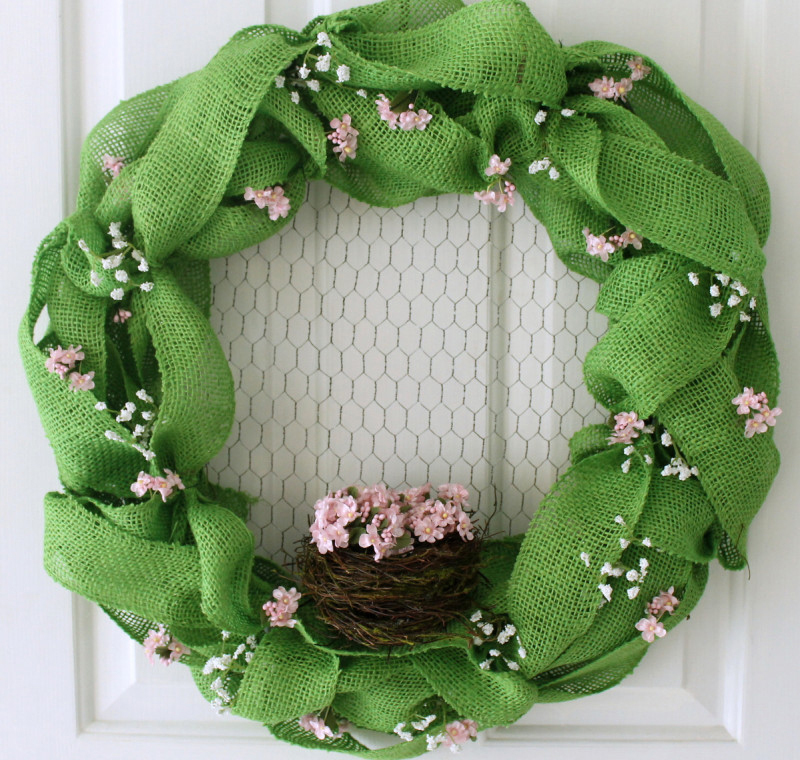 Create green burlap to a wire wreath form for a fun spring wreath which will brighten up any door. Make a trend-tastic wreath using felt rolled flowers and a wood slice banner! Just wrap the eggs can be plastic or wooden in the yarn. 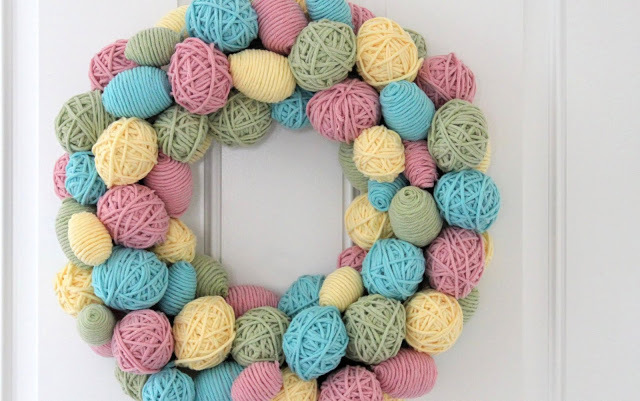 You can also put small balls of yarn in the wreath too, to make it fuller. 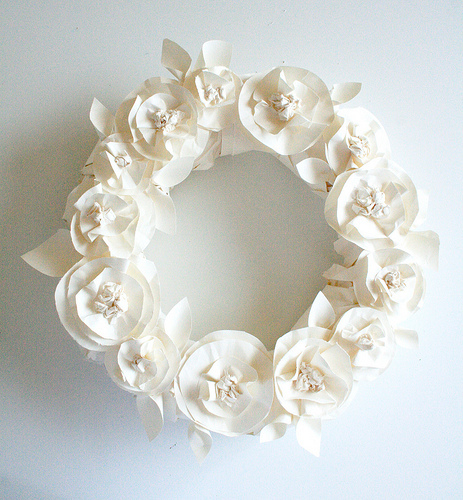 All-white spring wreath created completely from butcher paper. A lovely and inexpensive way to beautify a door or room. 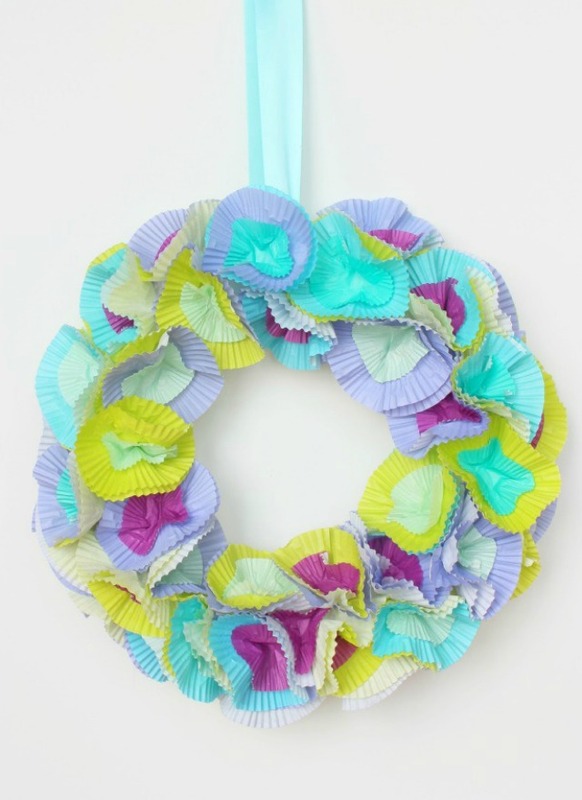 This cute wreath is created from inexpensive cupcake liners! The options are unlimited for modifying the color palette for your home. 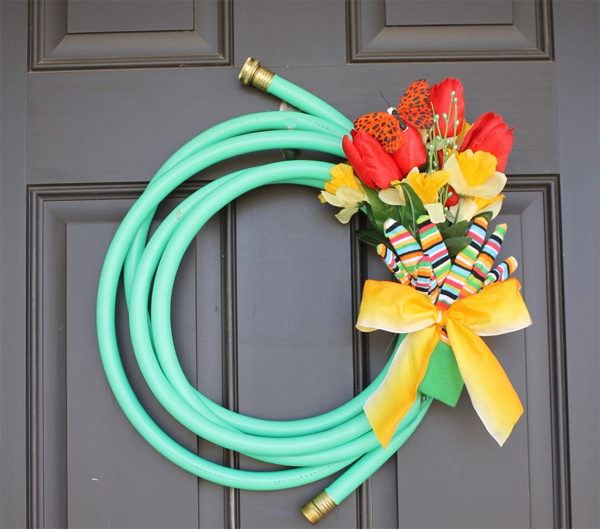 I have never thought of putting a hose on my door as a wreath, but this project has changed my mind! 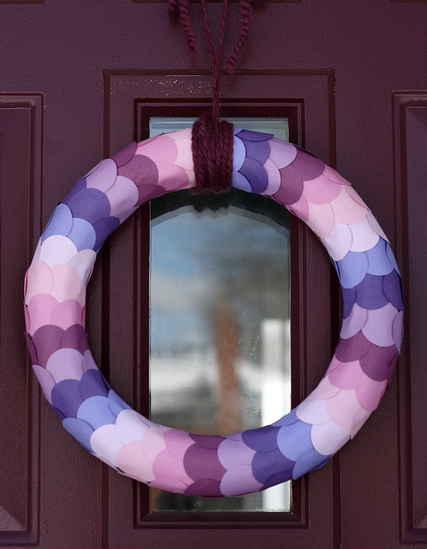 A spring wreath created with circles punched from colorful scrapbook paper. 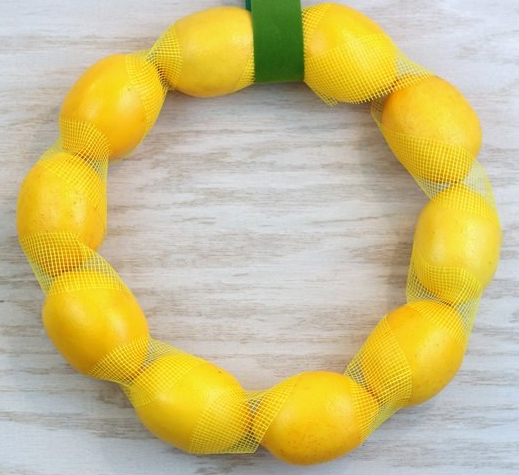 Make this easy wreath for spring using faux lemons, wire and ribbon. 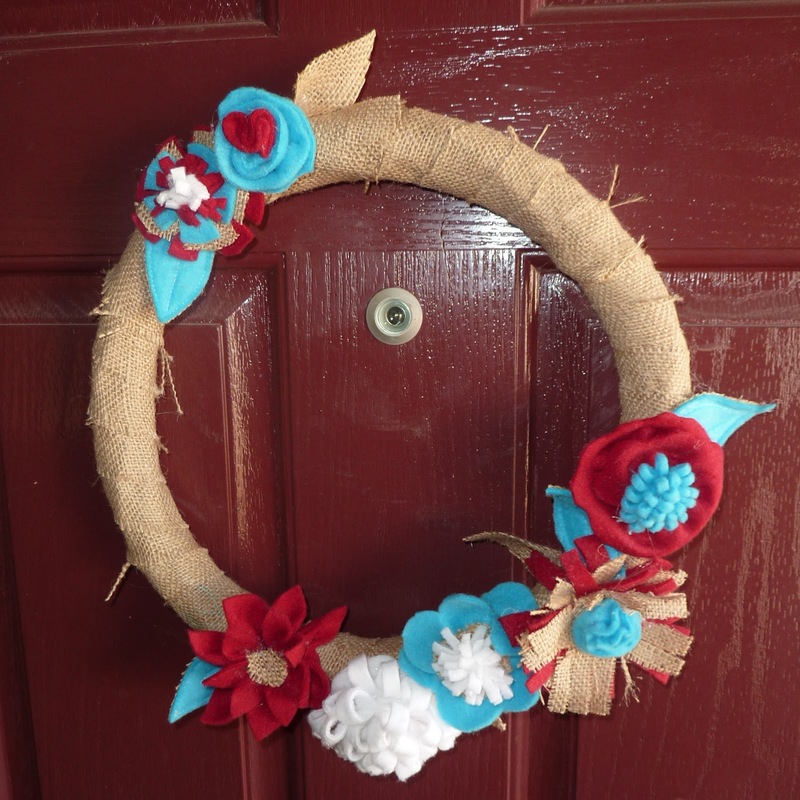 Use burlap and fleece to make this bright and cheerful wreath.